... Buffalo, New York, city on the great Lake Erie - From Edwin Christy's Minstrels to Harold Arlen, up through to Donnie Elbert, Grover Washington, Ani DiFranco, Brian McKnight, 10,000 Maniacs, The Goo Goo Dolls, Buffalo has a long history of contributing music to the world. This book provides background on an important segment of that history - Rhythm and Blues. Throughout the 1950's and 1960's Buffalo was a "breakout market." Still riding the image of Queen City of the Great Lakes, Buffalo had 50,000 watt powerhouse WKBW which could be heard up and down the eastern seaboard. George "Houndog" Lorenz was broadcasting so called "Race Music" nightly, inspiring listeners and young musicians to shake it up with the real deal - Rock 'n' Roll and Rhythm and Blues in its purest form. Early Rock 'n' Roll groups The Tune Rockers (Green Mosquito), The Quarter Notes (Record Hop Blues), and The Buffalo Rebels (Wild Weekend) played the groove on national record labels. 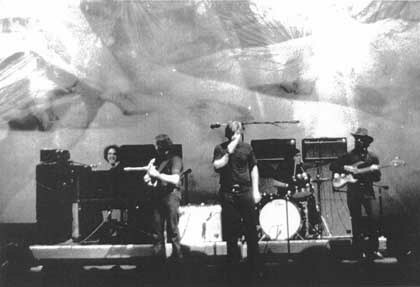 Later R & B bands Stan and the Ravens and Raven combined their influences to produce some of the best music heard anywhere. 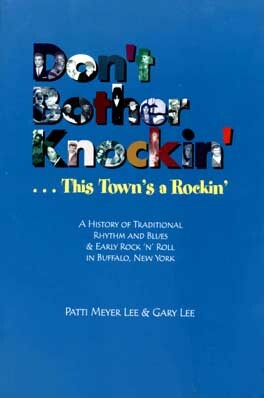 Authors Patti Meyer Lee and Gary Lee have been active as musicians and collectors on the Buffalo, New York, music scene. An idea they agreed to begin seven years ago has been realized with the publication of this remarkable book.